Starring Pornami malayalam movie, directorial debut of Albert will bring Sunny Wayne, Rima Kallingal and Mukesh together. Produced by Shahul Hammed Marikar under the banner of Marikkar Films is back in action with a handful of movies. It is known that 7 projects are on the way to be directed by popular directors. 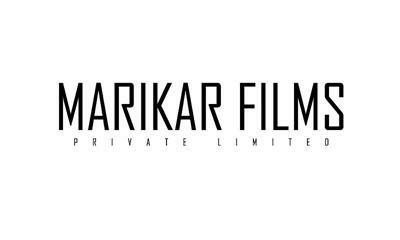 Marikkar films known as production and distribution company which undertook projects like 'Raudram', 'Vilapanalkkappuram', 'Big B', 'Daddy Cool' 'Thanthoni' and 'Annan Thampi' is back in action after break. Founded and owned by Shahul Hameed Marikar, the company is gearing up to give life to seven ventures. Started in 2007 co –producing and taking up the distribution of Big B, a trend setter in malayalam. Taking up distribution as a serious concern, Marikar Films stayed as the backbone for movies like Roudram, Annan Thambi and Vilapangalkkappuram. Even though Annam Thambi was a commercial hit, Raudram and Vilapangalkkappuram didn't perform well at the box office. Aashiq Abu's directorial debut 'Daddy Cool' was the next big thing for the distributor who got the return as it was well received by the audience. But the 2010 Thanthonni which featured Prithviraj in lead was a box office disaster which made Marikkar Films to keep away from the industry. After a short period of relaxation, the movie making company is gearing up for a real wake up producing seven movies back to back. Heard from the grapevine, Marikkar films have a huge plan to rope in Goutham Menon for his debut venture in malayalam. Marikkar would mark a comeback producing the movie 'Starring Pornami, a big budget veture helmed by debutante director Albert. Said to be a road movie, it features Sunny Wayne, Rima Kallingal and Mukesh in the lead roles. Scripted by Second Show fame Vinay, the movie will be shot at various places starting from Ladhakh and ending in Kerala. The other 6 projects in pipe line to be produced by Marikkar will be projects to b helmed by Sreenath Rajendran, Lijo Jose Pellissery, Boban Samuel, Sugeeth, Denil and Jerson Antony.